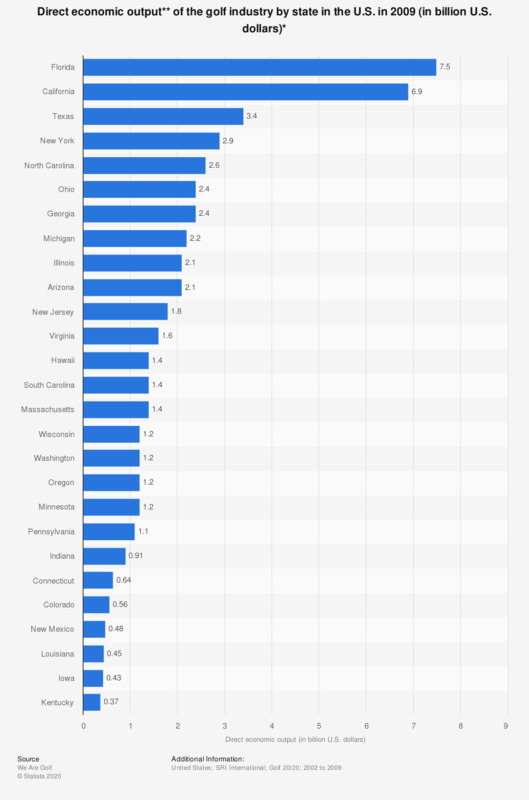 This graph depicts the direct economic output of the golf industry in the U.S. by state as of 2009. In New Mexico the direct economic output was at 481 million U.S. dollars in 2006. ** Direct economic output is defined as the size of the golf industry cluster (Golf Facility Operations, Golf Course Capital Investments, Golfer Supplies, tournaments & Associations, Real Estate, Hospitality / Tourism) within the state economy in terms of revenues.